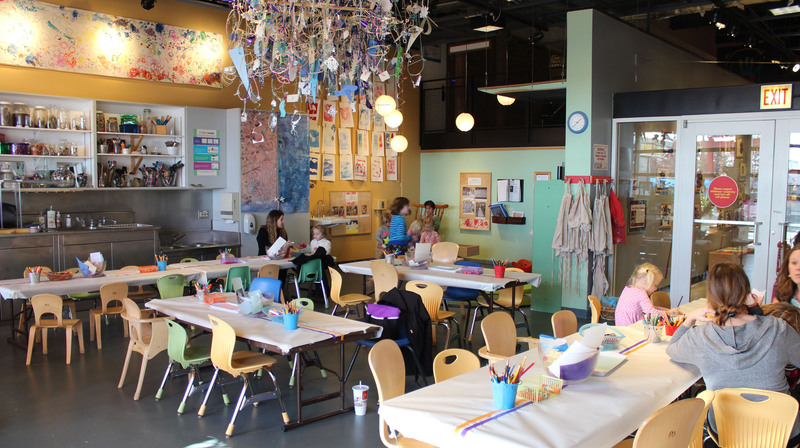 As a cultural institution and a place for children, Chicago Children’s Museum is constantly thinking about how kids understand and interact with the world around them, and how that world impacts them. Kids’ ears can pick up bits and pieces of the most complicated conversations, which in turn can prompt adult-sized questions. Regardless of your political beliefs, these conversations can bring up questions and concerns about discrimination and fairness, and it can be challenging to know the best ways to tackle it with your kids. We’ve put together some ideas for parents and caregivers to have meaningful conversations with children of all ages about issues of equality and diversity, and how to get those conversations started. Being able to empathize with others who are treated unfairly is an early step in understanding the damage that is done by discrimination and inequality. However, kids need to learn empathy—we’re not born with it. Parents and caregivers need to talk about what it means to empathize, encourage their kids to work toward it, and model it themselves. Sometimes books can be great discussion tools. Stick and Stone by Beth Ferry is a great story to kick off conversations about empathy. Relate larger issues to their smaller worlds. Children may not be able to understand the details of civil rights, but they can understand why it isn’t fair to cut in line for the playground slide. Kindness and fairness are ideas that kids understand and relate to very early on. Show kids that their worlds and the world around them are related. The book What Does It Mean To Be Kind by Rana DiOrio talks about kindness in a world that kids understand: the classroom. Help them explore difference—without generalizing. We ask kids to point out which block is red and which block is blue, but when it comes to people, we insist we’re all the same. Kids notice differences—be honest and encourage them to explore those differences in positive ways. The book The Skin You Live In by Michael Tyler (and published by Chicago Children’s Museum) teaches kids to not only acknowledge difference, but to celebrate it too. Hold yourself accountable—but not to the level of perfection. Nobody’s perfect. We all have our own biases, and children hear what we say and take it all in. Avoid speaking in generalizations about other people and question others when they do so. If you do speak unfairly about a person or group, openly acknowledge the mistake. Continue the conversation—but avoid oversharing. Listen carefully to children’s questions and take cues about what they want to talk about. As adults, we have a tendency to provide too many details and concepts that may well be beyond their comprehension. Try using open-ended questions like “What are you curious about?” to get to the heart of their concerns. Then you can help them find more information about what they would like to know. And if you’re not sure how to start the conversation, you can always turn to books like the ones we listed above. Talking about prejudice and discrimination is not something we can check off a list—it’s an ongoing conversation. Help your children see the world through a lens of compassion and kindness throughout their childhoods that will last well into their adult lives. There’s a lot of learning going on when little ones are laughing. 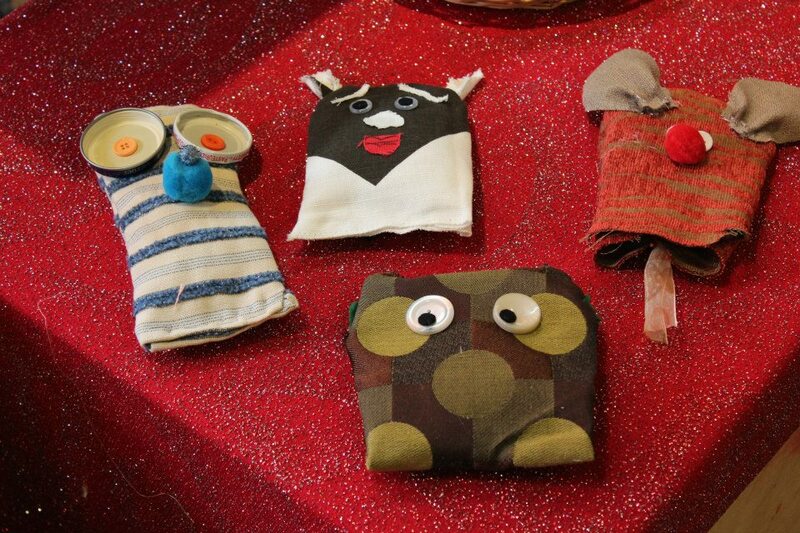 Here are some tips for engaging children in silly behavior at each developmental stage. 1. Babies and Toddlers love surprises! These little guys are learning a lot about how the world around them works, so unexpected actions can really crack them up. Put a shoe on your head. Gently tickle tummies or chins. Caregiver Tip: Tricks that bring giggles one time may bring tears the next. Be sensitive; babies get overloaded, and toddlers are a tough crowd. Three- and four-year-olds are starting to see that jokes follow a format. To you, their punch lines might seem to need a little work, but they find them utterly hilarious! Caregiver Tip: Super-silly stories and taboo topics (like potty humor) are also big at this age. Hang in there, parents! Most outgrow this by age 20. 3. Ages 5 – 7 love MAKING SENSE. Caregiver Tip: Get used to hearing the same old joke! Young comics must hone their timing and delivery skills. 4. Ages 8 – 9 love SOCIAL HUMOR. At this age, they’re having fun sharing humor with friends. They especially enjoy looonger jokes, funny books and videos, quick and witty comebacks, and, oh joy, sarcasm. Caregiver Tip: Help children understand that hurtful and demeaning humor is never okay. 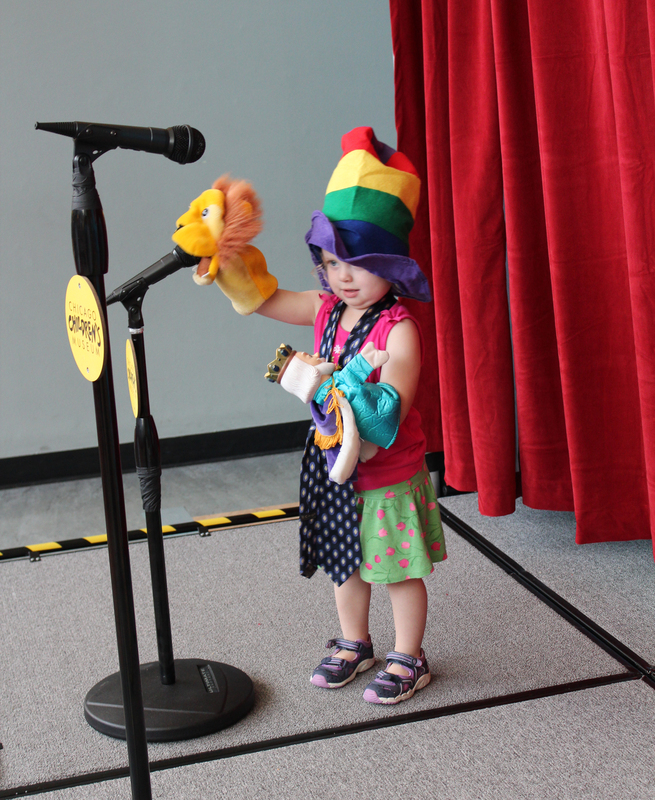 Through Labor Day, hone your funny bone and get seriously silly at the Laugh Shack, Chicago Children’s Museum’s pop-up comedy club just for kids! Exposing children to danger may seem counterintuitive, but when done right, and with the support of caring adults, it is ultimately the best preparation we can give them for becoming resilient, thoughtful and capable human beings. Kids just don’t have enough “good danger” in their lives these days. Think back to your childhood… What are your strongest play memories? Often, when we at Chicago Children’s Museum ask adults how they played as children, the things they recall most vividly were a bit risky. They climbed trees—or rooftops—and played in alleys. They experimented with tools and took things apart. They launched things into the air, demolished things, melted things, and (maybe, just maybe) created some minor explosions. Why? Well, because they were curious! From these experiences, they learned. There were minor cuts, scrapes, and bruises, but, oh, were there also revelations! Encountering risky, seemingly dangerous situations provide children some of their greatest and most important learning opportunities. From interactions with hot, sharp, breakable, fragile, high up or otherwise strange things, we develop new understandings about the ways of the world. We grasp why some things really are dangerous (to ourselves or others) and how to be safe. We learn about our own abilities and sensibilities. Yes, exploring what is dangerous presents a prime opportunity for children to learn safety and responsibility. It is also a natural motivator for learning in general. Danger is exciting; therefore, we pay attention. You can bet that a child who learns about chemistry by creating an explosion is going to remember it far longer than the child who reads about it in a book. The “risk” aspect makes the experience stick. Ensure that children have opportunities to take risks that are developmentally appropriate. For an eight-year-old, using a sharp tool or experimenting with heat could present an appropriate level of risk. For a six-year-old, swinging on a rope swing might be just the right challenge. For a toddler, exploring a new material or attempting to walk over an uneven terrain may be a healthy risk. Children naturally want to push the limits of their abilities; it’s up to us, as adults, to help them find the right opportunities. Provide time, space and support. While some “risky” activities require adult supervision (learning to light a campfire for the first time), others are best left for children to explore on their own (taking a leap from the monkeybars). If the worst that can happen is a cut, scrape, bruise, or even a sprained ankle, give children the freedom to do it on their own. Remember, you learned some of your best “lessons” when adults weren’t even looking! Take comfort in the knowledge that “dangerous” activities help children flourish. Exploring fire, water and other physical phenomena, and using real tools and machines acquaint children with how the world really works. Nothing beats first-hand experience for learning how objects are engineered, why heat transforms water into vapor, what it’s like to drill a hole. Such “risky” physical behaviors as climbing, swinging or jumping from high places build strength, dexterity and self-confidence. Non-physical risks—performing in front of an audience or standing up for a principle—are similarly important learning opportunities. In each situation, children are developing critical cognitive and social-emotional skills: assessing risks, grasping consequences, practicing self-control, taking responsibility. So go ahead… Take the leap. Make it blow. Melt it down. Launch it. Watch it burn. We’re learning here! The Thanksgiving season is upon us and we want to know, who are you thankful for? 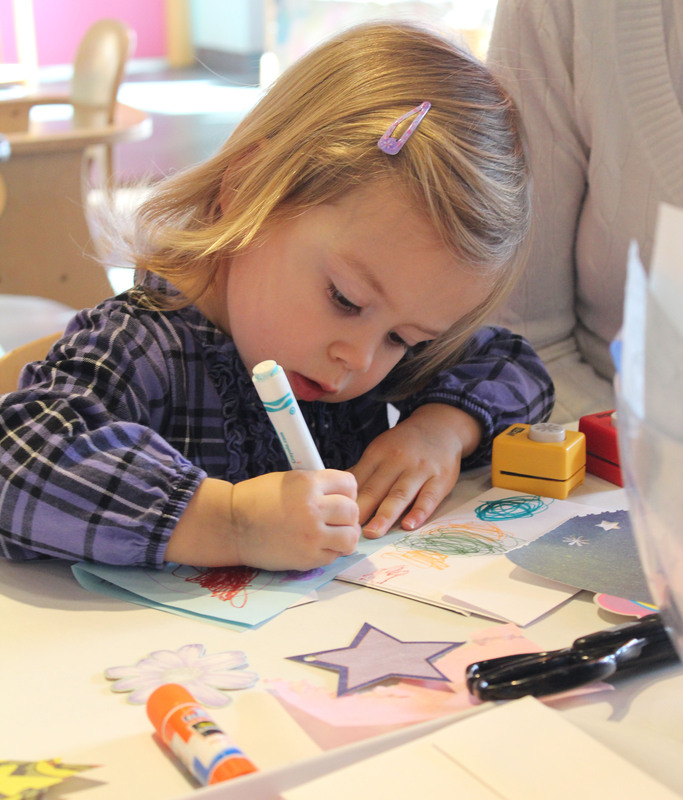 In the Kraft Artabounds Studio, visitors have been creating one-of-a-kind cards to show how much they care about the special people in their lives. How do you and your family give thanks? Join us in the studio this week to design your own card. Be sure to check our calendar for studio hours. We look forward to seeing you here! Old belts, neckties, jewelry, sports equipment, scarves, eyeglasses, stuffed animals, and purses make wonderful accessories. Fabric remnants are perfect for head wraps, capes, wings, bandages or poncho-style gowns and caveman garb. Discarded headbands are great for gluing on ears, taping on sparkly tin foil tiaras or attaching pipe cleaner antennas. Two toilet paper tubes glued together makes an excellent pair of binoculars, and paper towel rolls colored black can accommodate any pirate in need of a telescope. Let your kids paint their own face! 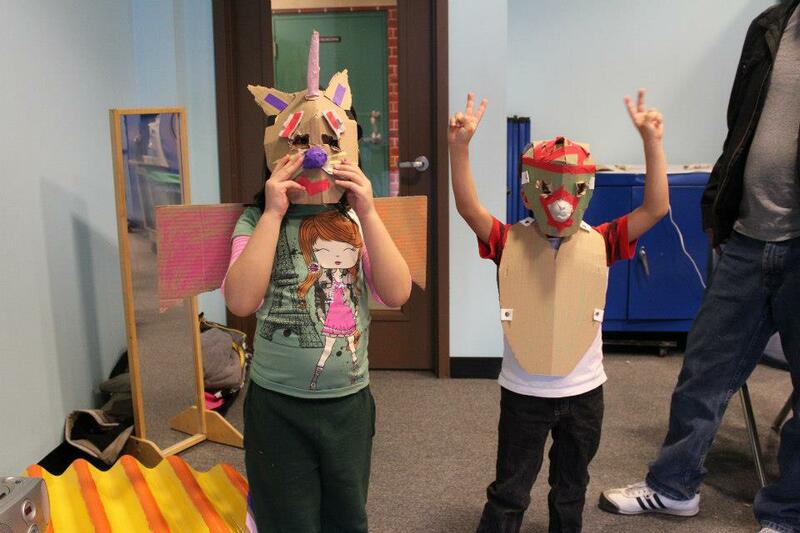 In addition to being less of a safety hazard than a vision-obscuring, cumbersome mask, a painted face allows children to clearly see and appreciate the transformation of their own features. 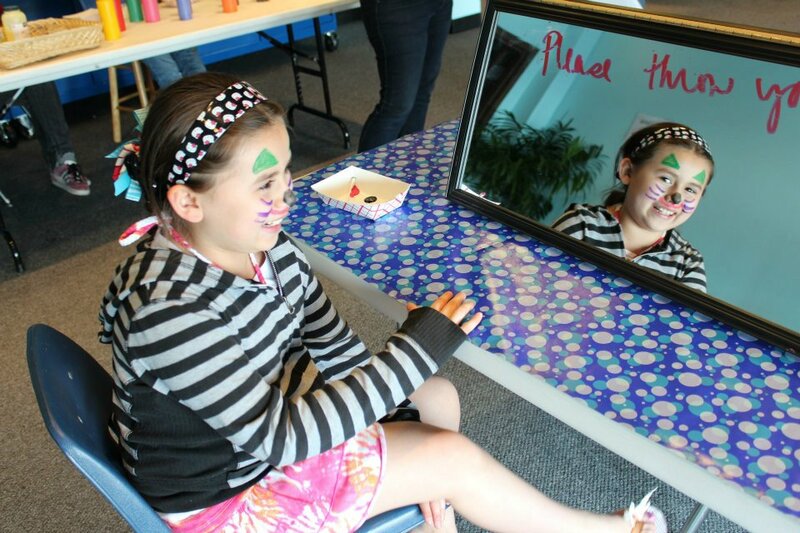 For the most successful face painting, set up a make-believe “make up” station with a mirror, small brushes, Q-tips, paper towels, cold cream and water. And don’t forget that face paint looks great on more than just the face. Use it to turn the backs of hands alien-green or decorate arms with creeping spiders. 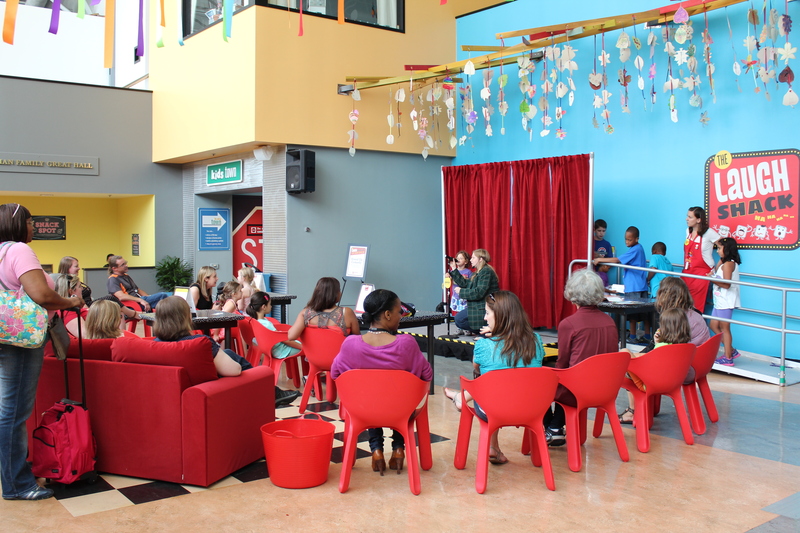 and The Laugh Shack‘s LIVE OPEN MIC! 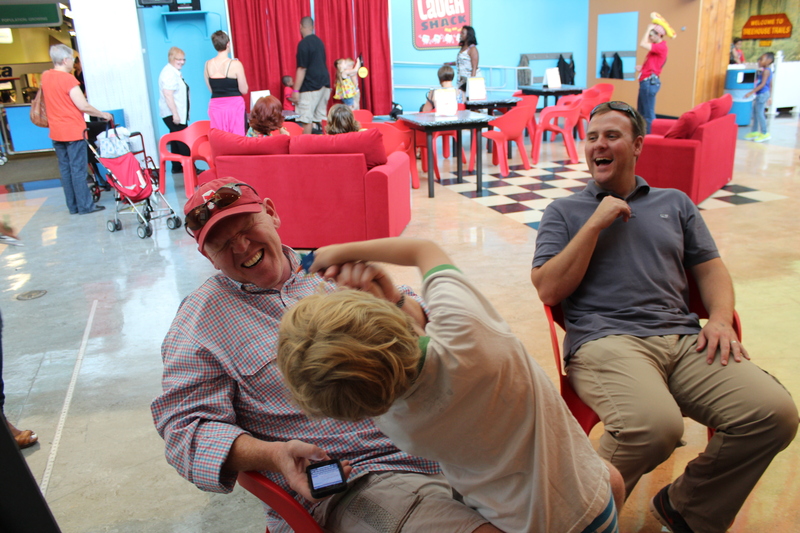 This is the final weekend for The Laugh Shack! You won’t want to miss it! 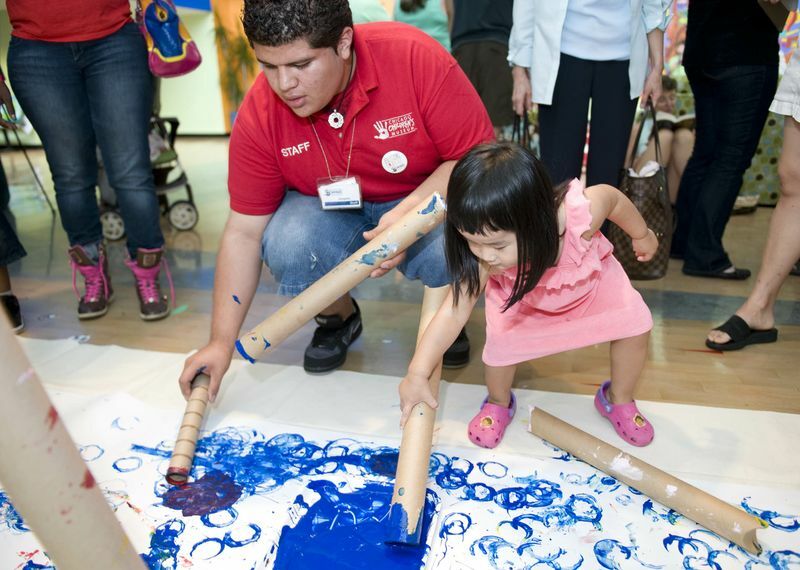 Please note, the museum will be closed after Labor Day Monday (September 3 – 6, 2013) for improvements. See you this weekend! Our Staff’s Summer Picks for Play! What was your favorite thing to do in the summer as a kid? Shoot marbles, jump double dutch, ride bikes and play basketball. We had a treehouse in my backyard that my brothers and the boys in our neighborhood built, and I would climb inside and eat corn flakes with my dolls. We didn’t have to cross any busy streets to get to our local pool, so we would walk over in our suits, carrying our towels. We wouldn’t even wear flip-flops, just bare feet on the hot black top. I was really into being a fireman. I had a whole outfit that I would wear, and my grandma would bring me to various fire houses during the week and ask if I could climb on the truck. They would always say yes! My brothers and I would organize big bike races. We lived in a neighborhood with about 20 kids and we would all race around the block as fast as we could. My cousins and I would play in our backyard: double dutch, off-the-wall and ride our bikes in a circle around a tree that was in the middle of the yard. I would play in the big boxes my dad brought home from his factory. I would also build popsicle stick rafts and float them in puddles.